Figure 2 of Azam, Mol Vis 2009; 15:1788-1793. Figure 2. 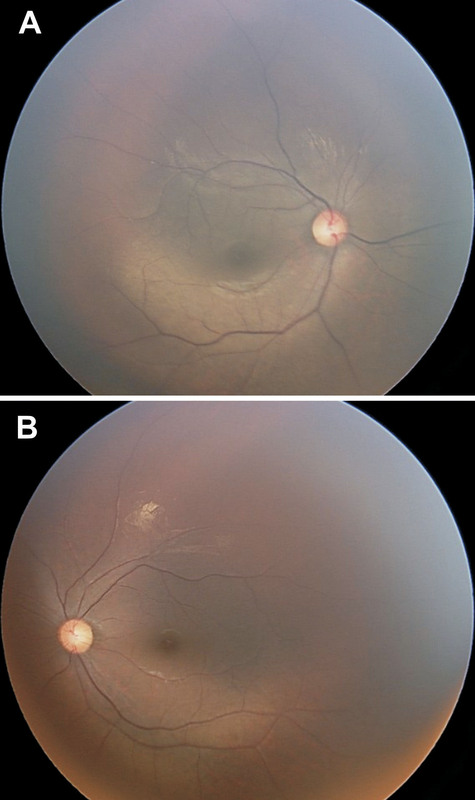 Fundus photographs of patient V-1 who has Oguchi disease. A: Fundus photograph of individual V-1 with Oguchi disease before dark adaptation. The gray discoloration of the fundus is a characteristic sign of Oguchi disease. B: Fundus photograph after 2 h of dark adaptation shows normal appearance of the retina.